Electroporation of difficult to transfect eukaryotic cells, can greatly assist the introduction of DNA, RNA or RNP into your cell lines of interest. 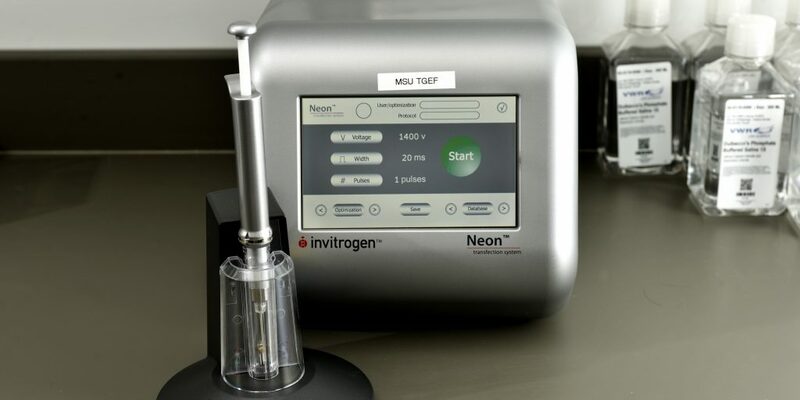 Investigators can book the use of the Neon® Nucleofector electroporation system. A service fee includes use of equipment and consumables for 10 electroporation reactions/samples.